For the past 48 hours I have received numerous condolence calls, emails and text messages regarding the death of someone I had never met—some from people I haven’t heard from in years. It feels like being on the receiving end of a strange blessing. Tom Petty died on Monday at age 66, and anyone who knows me well understands that it is a personal loss. That probably sounds melodramatic, but the truth is I really don’t have any critical distance when it comes to Petty or his music. For me it was foundational—my musical Genesis story, where I learned an alphabet that led to the creation of words, sentences and paragraphs. Tom Petty died on Monday at age 66, and anyone who knows me well understands that it is a personal loss. Tom Petty and the Heartbreakers’ 1979 masterpiece “Damn the Torpedoes” was the first album I ever bought with my own money. To say I obsessed over the album would be an understatement. I wore the grooves off of it. Barely a teenager, I was learning to play the drums and memorized every lick trying to emulate the feel, the rhythm, the power of Petty and his band. Decades later I can still play those parts to every song, note for note, from memory. I pored over the artwork and liner notes like they were sacred documents containing all the secrets to the world that a 13-year-old could imagine. I was a skinny blonde kid, uncomfortable in his own skin but on the cover of “Torpedoes” I saw that image transformed into something I could live with, something better. Even the name, Tom Petty, sounded to my ears like some scrappy, old-school, street-fighting character. On vinyl, it felt as if Petty’s voice possessed the power of alchemy. Songs like “Refugee,” “Here Comes My Girl” and “Century City” embodied the snarling toughness and coolness I desperately wanted to project while “Even the Losers” gave voice to the adolescent vulnerability and woundedness I wasn’t even aware I was trying to shield from myself and the world. That first year whatever free time I had was spent lying on the floor next to my parents old Capehart console stereo in the hallway listening to the only album I owned or even wanted at the time. On vinyl, it felt as if Petty’s voice possessed the power of alchemy. The next summer, when I learned that Petty and his band were going to be at the Spectrum, I knew I had to be there. So I arranged to get a ride from my dad and meet a friend down at the arena to see my first rock concert. My buddy was a bit older and already a huge Springsteen fan so as we sat in our seats waiting for the lights to go down he kept talking about the poetic genius of “the Boss.” Who cared about Bruce? I thought. All my 15-year-old brain could think about was that I was going to be under the same roof, breathing the same air and a couple hundred feet away from the artist whose music had dominated my life. 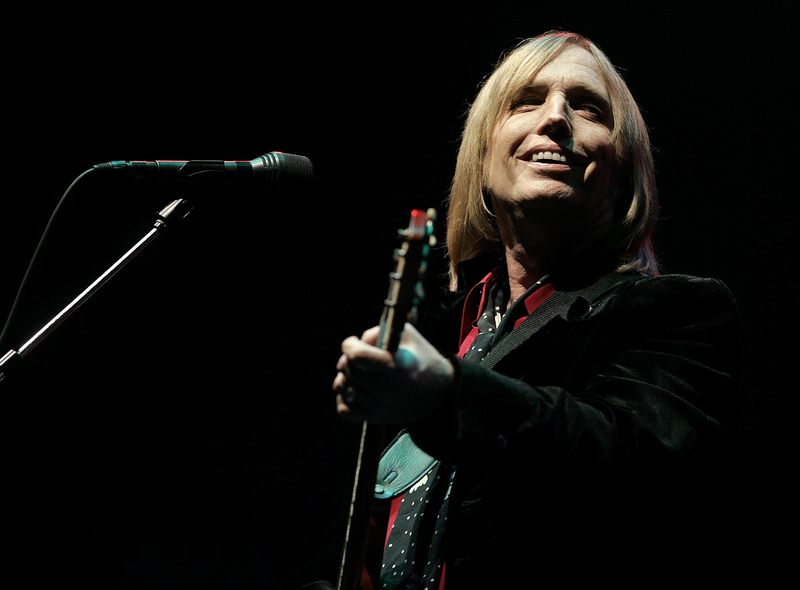 I vividly remember being transfixed by Petty and the Heartbreakers the entire time they were on stage that night. Afterward my concert-veteran friend regaled me, the rookie, with Springsteen-Petty comparisons. His comments fell on deaf ears. With my one-album record collection, it was still a few years before I discovered Bruce. “Still,” I thought, “nothing could be cooler than what we’d just seen.” Years later I was able to appreciate the genius of both. Springsteen had music with epic scope and big questions while Petty simply had songs—endless amounts of great, great songs spread out over 16 albums. Over three decades of Petty concerts, the constant refrain I heard from friends who weren’t “big fans” was that they couldn’t believe how many songs they knew. In the Trump era, music is not just a distraction. It’s a chance for communion.